Happy Labor Day! It's September, and we've heard the first frost advisory for the season here in Wisconsin. Lucky for me it's for upper Wisconsin, not so good for those in upper Wisconsin since they had such a late spring. School started this past week, which means back to work for me. We also had an unusual start to the school year. On the second day of we had a severe thunderstorm roll through our area unexpectedly. Nothing like having students crouch in their tornado positions before they even know all of the school rules. The storm did quite a bit of damage, and it's been 4 days since and there are many people who still do not have power. It's time to update everyone on my Seed Grow Project Plants. 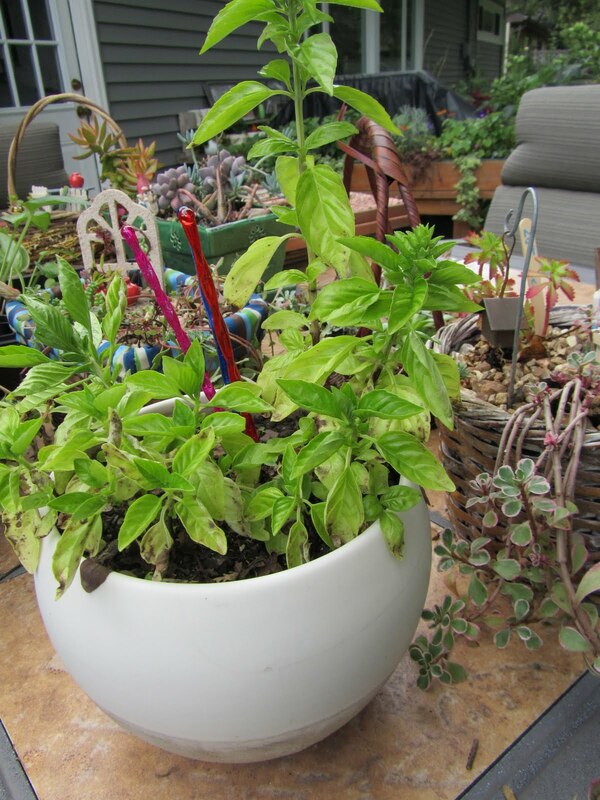 'Italian Cameo' basil is still going strong. I've been harvesting it and eating it fresh with tomatoes right out of the garden. It's not too overpowering, which I have found some basils to be. The 'Garden Babies' lettuce never did make any little lettuce heads. I think I let it overgrow, because now it kinda has a flavor similar to grass. It was also very dry here. Now that the weather has cooled down I might try to grow a new batch of this lettuce. 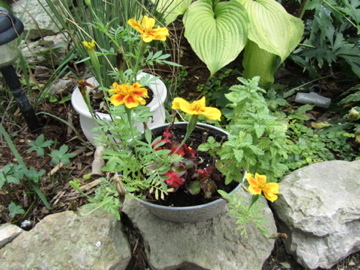 The 'Summer Splash' marigolds grew to be a lot taller then I expected. Mine have great orange coloring mixed in with the yellow. I noticed some others who are growing them have all yellow colored flowers. I'm definitely going to be collecting seeds from these for next summer. Hope your school year started off well. I love thunderstorms during school time. We don't get them often here but when they happen, it's quite the event.